Including ‘Scorpion,’ Drake has now released nearly 200 tracks over his career. Here we list the several albums within these years.You can enjoy these Drake songs directly with the Spotify web player or open the app. Many people ask how to download Drake songs? Well, there are several options. If you are Apple Music subscriber or Spotify paid subscriber, you can download the songs for offline playback but only on that device within the app. You can also purchase the songs from iTunes Store. 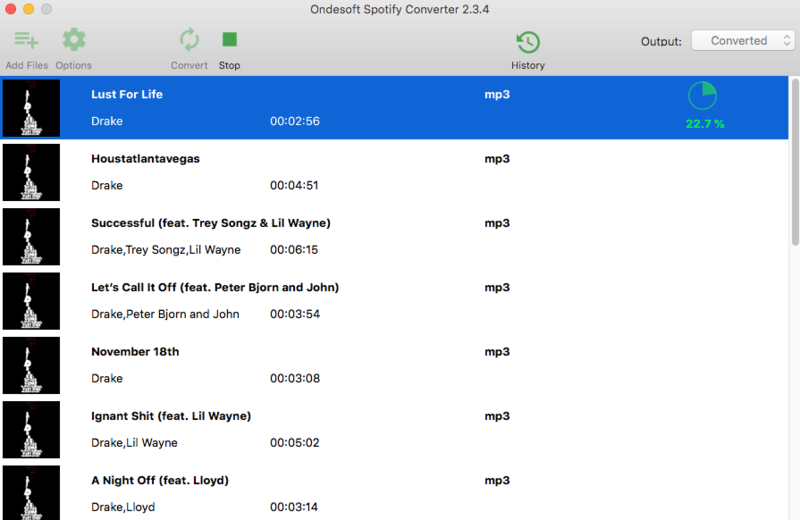 But if you want to download Drake songs to mp3 format to play them on any device such as mp3 player, you will need this Spotify to mp3 converter - Ondesoft Spotify Converter. 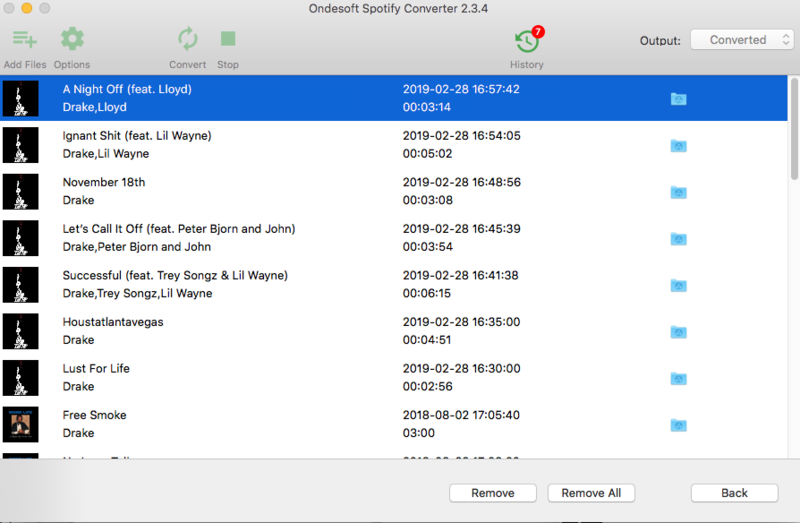 Ondesoft Spotify Converter is a professional Spotify song downloader that allows you to download any songs from Spotify to mp3 with either Spotify free or premium account. Spotify free is availble to anyone and it doesn't cost any money. 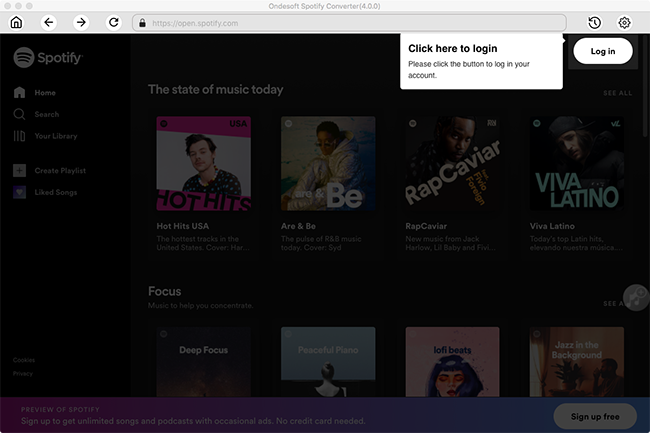 Spotify premium users can download songs for offline listening, but the downloaded song can only be accessed on that device via Spotify. 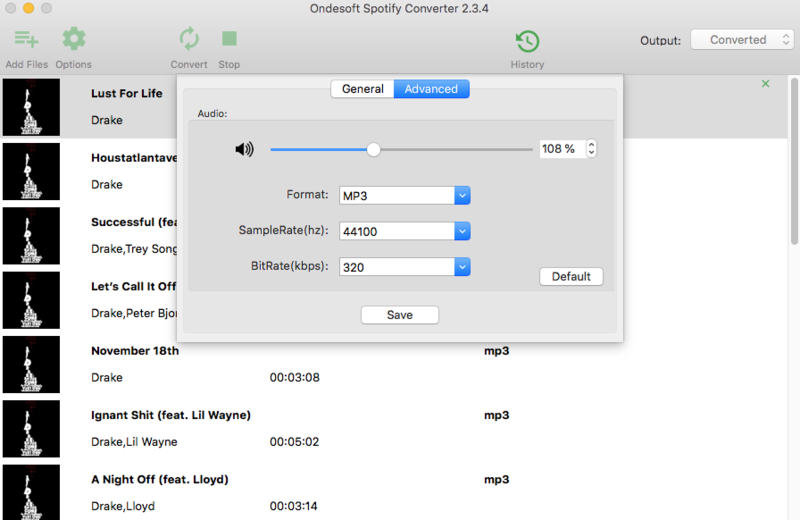 So if you are a premium user but want to enjoy offline songs anywhere, try Ondesoft Spotify Converter. It makes downloading Spotify songs a piece of cake. Please make sure you have installed Spotify app on your computer. 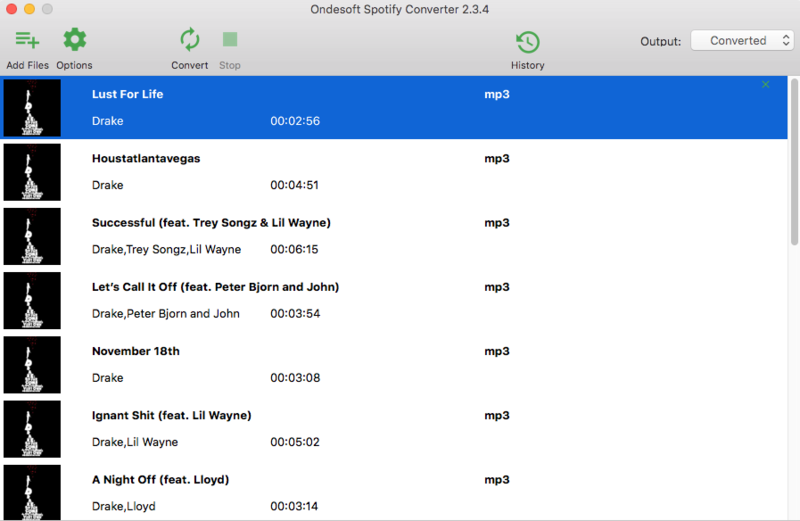 Download, install and run Ondesoft Spotify to MP3 Converter on your Mac or Windows. Spotify will be launched automatically. 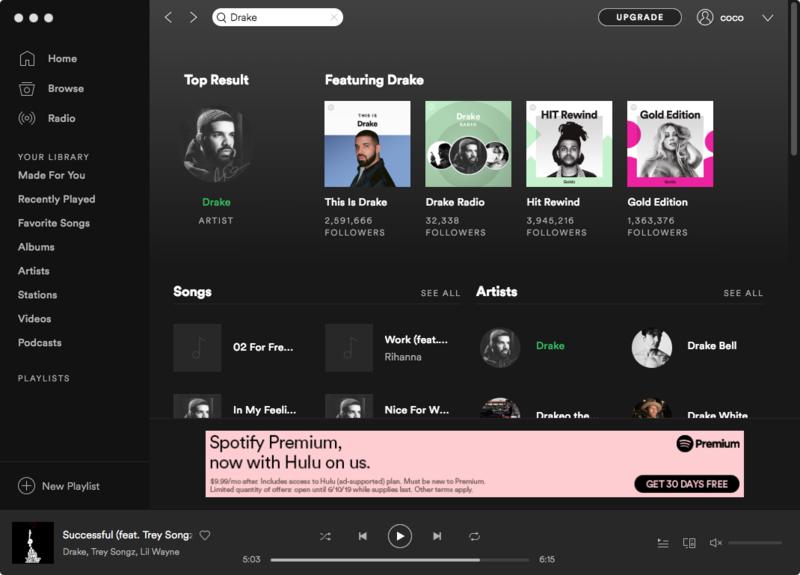 Search Drake from Spotify. Click Songs, Albums or Playlists and find the songs you want to download to mp3. 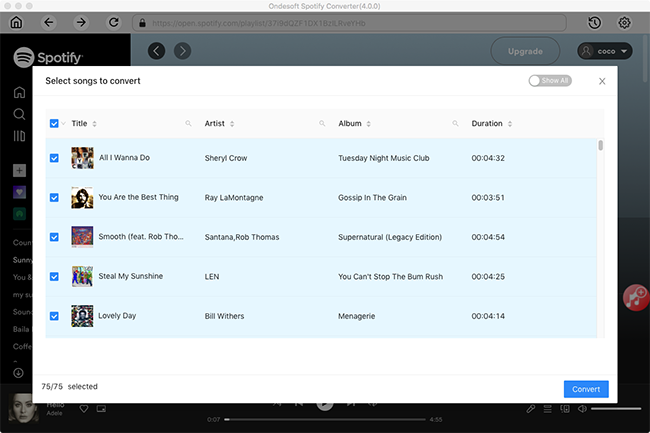 Drag&drop the songs, albums or playlist to Ondesoft Spotify Converter interface. Or click "Add Files", copy&paste the link of the song/album/playlist to the bottom area and then click + icon. To copy the link, right click the song/album/playlist and choose "Share" - Copy song/album/playlist Link. All songs in the albums will be checked by default. You are free to uncheck the tracks you don't want to convert. Then click Add to import all checked songs. The default output format is MP3. Besides downloading Spotify Music to MP3, it also supports downloading Spotify Music to M4A, WAV, FLAC. Click Option - Advanced to change output format, SampleRate or BitRate according to your needs. Click Option - General to change output folder if you like. If you don't need to change output settings, just skip to this step. Click Convert button to start converting Spotify music to MP3. After conversion, click below folder icon to quickly locate the DRM-free songs. You can now listen to the So Far Gone album anywhere you want without internet connection.